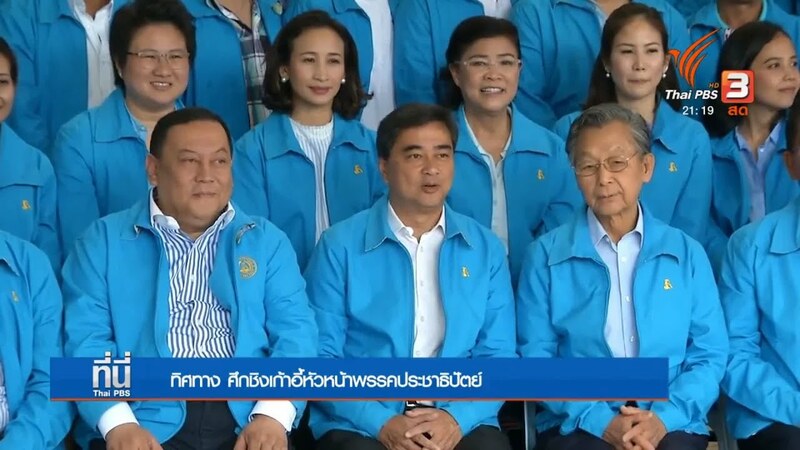 Thursday, April 18, 2019: The Democrat Party may conduct another “primary” in its search for a new party leader following the resignation of Abhisit Vejjajiva. Acting deputy leader Alongkorn Ponlaboot said the possibility of another primary could be discussed on April 24 during a meeting of party executives. Prior to the March 24 election, the party carried out a poll involving registered party members to sound them out regarding the question of who should lead the party. Incumbent Abhisit won that “primary”, but later he declared that he would quit the helm if the party won fewer than 100 seats in the general election. Now that Abhisit has resigned following the party’s humiliating loss in the general election, the Democrats may need another primary in search of his replacement. In conducting the previous “primary”, the party insisted that its results were not legally binding, but would only be used as a guideline for the selection of its leader. A more limited leadership election, involving a much smaller number of executives and top members, followed that previous primary, but no controversy materialized because Abhisit was still favoured in the decisive round. Alongkorn said details and possible rule changes for the new primary will be discussed on April 24. He ruled himself out, saying he had insufficient support as shown in the previous primary. The new leader and the new executive board will decide on who to support regarding the formation of the coalition government. This means the new Democrat primary will be swift, as the new leadership must be installed in time to make key post-election decisions. Wednesday, April 17, 2019: And the comment is “No comment.” Incumbent Prime Minister Prayut Chan-o-cha has finally said something about growing calls for the post-election administration to be a “national government” in order to reduce political tension, which has been threatening to boil over, and to give the new rulers a greater degree of stability. “I have no comment,” said Prayut, amid rumours that the party that supports him, Palang Pracharat, has managed to muster a wafer-thin House of Representatives majority for the formation of a post-election coalition government. The “national government” idea has been put forward by many who believe that neither a Palang Pracharat-led nor Pheu Thai-led government would be stable. If the new government has about 10 votes, give or take, above the simple majority, political bribery, or blatant betrayal, or even rebellious voting based on pure conscience, can plague parliamentary politics, national-government advocates say. The idea puts Palang Pracharat and Pheu Thai in the same government, which many believe will be more stable than both parties going separate ways in Parliament. Tuesday, April 16, 2019: In his Facebook post, Democrat Warong Dechgitvigrom called on the old and young generations to reconcile over Thailand’s political system and culture, saying a generational conflict could be brewing and should be nipped in the bud. Monday, April 15, 2019: A vast majority of Thais want political peace, and they want politicians to stop dragging the country through their problems, according to Super Poll. The survey of 3,661 people nationwide showed that Thais people want politicians to stop pitting Thais against one another and use proper political mechanism to solve any problem stemming from the March 24 election. The same poll, conducted between March 26 and April 15, however, said a big majority of Thais think the Election Commission “flunked the test”, an issue which is at the core of the political fight at the moment. Despite their opinions on the EC, 96.9 % of the people surveyed said they want peace. A total of 75.9 % said they want politicians to solve their problems through the legitimate political mechanism instead of politicizing them and dragging Thais into destructive activism. Sunday, April 14, 2019: Democrats are fighting one another fiercely on their LINE group, according to a report. All the party’s senior people are the group’s members, but, since the humiliating election defeat, there has been no holds barred in terms of the language, said the report. The party’s divide _ between those wanting to back Prayut Chan-o-cha as the next prime minister and those balking at that _ has been bitterly apparent through the messages, some of which showcasing impolite languages, the report said. It is said that about 30 Democrat MPs (unofficial) want to join a Prayut-led government. The rest of election winners do not want to, but they form a smaller group. The same report said the Palang Pracharat Party had given up on the idea of having the whole Democrat Party support Prayut, and was counting on the 30 Democrats who may vote for him in Parliament no matter what resolution the oldest political party makes. 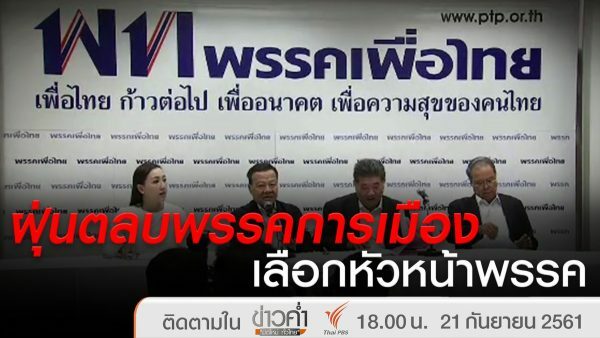 Saturday, April 13, 2019: According to one unverified report being played up on a major news website, New Economics Party leader Mingkwan Sangsuwan has done an about-face and agreed to join a Palang Pracharat-led coalition seeking to form a government, and the alliance could be further boosted by a big faction of the Democrat Party which has yet to make a clear public stand on its future. Mingkwan’s five-MP party and the Democrat faction led by Tavorn Sennium would give the Palang Pracharat camp the House of Representatives majority and thus “legitimacy” to form a government, the report said, quoting “inside information” from Palang Pracharat. According to the claim, the Tavorn faction commands about 35 MPs. 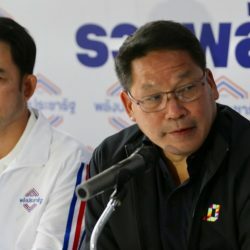 Mingkwan has been closely-linked publicly with the Pheu Thai alliance, but he failed to show up at a crucial press conference after the May 24 election where the other alliance members announced the camp had won a House of Representatives majority. Nothing has been heard from him directly regarding the New Economics Party’s stand, so he has been considered a crucial kingmaker in the aftermath of the election. Although the Palang Pracharat camp will have the help of the 250-strong Senate when it comes to electing the next prime minister, controlling the House of Representatives’ majority is crucial to both rival camps, particularly in terms of perceived legitimacy. Friday, April 12, 2019: A Bangkok candidate of the Future Forward Party has been strongly criticised on the social media for linking the Central World fire to five years of military-backed Prayut Chan-o-cha’s rule. The young politician, tipped as one of the economic strategists of the newly-founded but very popular party, tweeted that he did not blame the military-installed Bangkok governor for the fire, but insisted that Prayut, who put the governor there, was to blame. The tweet seemed to backfire badly, with people taunting Chris for playing “old-fashioned” politics, something his party publicly renounces. “(We call that) Brain?” one person replied to his tweet. Thursday, April 11, 2019: The Election Commission may conclude its investigation into Future Forward leader Thanathorn Juangroongruangkit’s past holding of media shares before the official announcement of complete poll results on May 9, it has been reported. Some outsiders with expertise on shareholding affairs have been invited to look into evidence, according to the Isranews website which has been raising questions on past holding by Thanathorn of V-Luck Media Company shares. The EC investigation focuses on whether Thanathorn did transfer his shares to his mother before he applied as an election candidate. If he was ruled to have still held the shares on the day he registered for the March 24 election, he could be disqualified as an election candidate and subsequently as an MP. Isranews said the EC hoped to complete the investigation, which involved share transfer documents and the company’s submitted papers on its shareholding structure, before May 9. However, the news outlet added that if more evidence came in, the deadline for completion could be extended. Wednesday, April 10, 2019: Palang Pracharat secretary-general Sontirat Sontijirawong has reportedly told top party members to be prepared for “all kinds of possibility”, admitting that the new government might not last long. “It will definitely be a coalition government, in which case anything can happen,” a source quoted him as saying during a high-level meeting to discuss an agenda for a party caucus this week. Of the party’s 97 constituency MPs, 60 have been elected for the first time, an achievement that the party should be proud of as it underlined public trust in the newly-founded political camp, he insisted. “Whatever happens in the future, we will be ready,” he reportedly said, signalling Palang Pracharat’s readiness if the next election comes sooner than everyone thought. Tuesday, April 9, 2019: Thai politics’ ability to cause diplomatic epidemic has been undisputed. The latest outbreak involved national security charges against Future Forward leader Thanathorn Juangroonruangkit, whose questioning by the Thai authorities was well observed by international “representatives” who reportedly included some diplomats. Prime Minister Prayut Chan-o-cha, Foreign Minister Don Pramudwinai and former justice minister Peerapan Saliratvipak, to different degrees, have voiced concern about the activities of the foreigners. Prayut basically said he was looking into reports about them and was waiting for follow-up whereas Don and Peerapan were a lot more critical, saying the line has been crossed and things like this could not have happened if the involved countries questioned their own national security suspects. “It is unprecedented that they (foreign diplomats) are present in the interrogation room. If they want to know about the atmosphere in the interrogation room, they should wait outside the police station. No country will allow this, never,” said Minister Don. Monday, April 8, 2019: Abhisit Vejjajiva’s first work after quitting the Democrat Party’s helm will be as a volunteer for the coronation ceremony. Today, he registered for the voluntary work at the Phra Nakhon District headquarters and was given the number 60528. The two-day registration period started today. Work is divided into seven categories _ security and traffic; medical; transport; logistics; exhibition and ceremonial; public work; and activities to honour the new king. People interested in volunteering for the royal occasion can contact district headquarters near them for registration or information. Sunday, April 7, 2019: The Bhumjaithai Party seems to have spelled out its post-election plan by renouncing unorthodox political ideologies and saying it would only work in a government that fully cherishes the political system of constitutional monarchy. This has perhaps left the Democrats as the most crucial kingmaker, as their decision on whether to join the Palang Pracharat alliance, or the Pheu Thai camp, or to ignore both and be in the opposition bloc, will impact the immediate and possibly long-term course of Thai politics. Thailand’s oldest political has not made a decision yet, and conflicting signs have come out of it. After deputy Democrat leader Thavorn Senniam claimed a group of Democrat party members, including several former MPs and newly-elected candidates, want the party to join a pro-Prayut Palang Pracharat coalition government, highly-respected party top adviser and former leader Chuan Leekpai has warned against jumping the gun before a final, official decision was made by the party’s executives in a due process. There had been reports that the Democrat Party had received a sweet offer from the Pheu Thai camp, which is desperate for House of Representatives votes to put pressure on the pro-Prayut Senate. That prompted Korn Chatikavanij, a candidate to replace Abhisit Vejjajiva as Democrat leader, to flatly rule out any chance of working with Pheu Thai. Amid signs of disagreement within the Democrat Party, Thavorn has written on his Facebook over the weekend reiterating several members’ desire to join a Palang Pracharat government and saying that such a political move would not run against the party’s fundamental agenda. If the Democrats join hands with Palang Pracharat, he wrote, they can push for several key policies. “We need to be able to tell people in the next election what policies of ours come to fruition,” he wrote. Saturday, April 6, 2019: The guests at the Democrat Party’s birthday party looked like a who’s who of a possible government coalition, although the most important among them insisted that the occasion was only for congratulatory words, not political discussions. Representatives from the Bhumjaithai, Chartthaipattana and Chartpattana parties also attended the 73rd anniversary party of the Democrats. They were greeted by all key men of the Democrat Party. Remarkably, most important people from “the other camp” were nowhere to be seen. Friday, April 5, 2019: If Korn Chatikavanij succeeds Abhisit Vejjajiva as leader of the Democrat Party, it will be the first time that two close friends head the same political camp back to back. The two men’s chummy relationship is no secret, but they were so close that having to act formal toward each other in public made them uncomfortable. Imagine two male friends who used to sprinkle conversations with curses when talking to each other. Korn and Abhisit were at that level while at Oxford. At the Democrat Party, they have had to be polite toward each other, which caused a few awkward moments. “Once when I wai him at a meeting, he asked ‘What the hell are you doing?’/” Korn recalled during an interview. He had led Abhisit take the leading role in the party, but after the latter left the helm following the March 24 election embarrassment, the first thing Korn did in the limelight was practically telling the public not to take Abhisit’s anti-Prayut stand as a sign that the Democrats would join hands with arch-rivals Pheu Thai. Following news that the Democrat Party had been contacted by Pheu Thai and received a mouth-watering political offer, Korn immediately went public to deny that his party would be in a Pheu Thai coalition. He stopped short of saying where his party would end up, though. Thursday, April 4, 2019: Thanathorn Juangroongruangkit’s media share controversy has continued to provide puzzles. While “the other” legal action against him has to do with freedom of speech, something highly political and contentious, the share problem is threatening to turn against him both politically and legally. The biggest question that has emerged has to do with Thanathorn’s claim that he transferred all his shares in V-Luck Media Company to his mother on January 8. He used a transfer document signed by all parties involved including witnesses to back that up. Now, Isranews has produced photographic evidence that Thanathorn was also in Buriram on that day. Its reporters asked him about it and his answer was ambiguous. He said it was “misunderstanding” on the part of Isranews but did not elaborate. If he had somehow signed the transfer document in advance, he did not say it. A tax stamp seen on the transfer document could also become a big issue, with some observers insisting that the document required a lot more tax stamps because of the high value of the transfer. Wednesday, April 3, 2019: News reports have claimed the “big boss” of the Pheu Thai camp now wants Chaikasem Nitisiri as its key prime ministerial candidate, following a fallout with Sudarat Keyuraphan. Chaikasem’s name in Pheu Thai’s three-person prime ministerial nomination list had been the least mentioned, easily overshadowed by Sudarat’s and Chadchart Sittipunt’s, but if the reports are true, it will now constantly be on the front page as the Pheu Thai alliance seeks to keep pressure on the Palang Pracharat Party. The news reports said that due to Sudarat’s perceived weaknesses when it comes to showdowns with Prime Minister Prayut Chan-o-cha, who is Palang Pracharat’s sole prime ministerial nominee, people who have real control over the Pheu Thai Party are switching to Chaikasem, who has considerable political pedigree as former attorney-general and justice minister and used to be occasionally defiant against the military. The news reports named the “big boss” and spelled out “developments” leading to the rise of Chaikasem. Those alleged developments, however, are questionable as they can put Pheu Thai in constitutional jeopardy. There have not yet been official words from Pheu Thai regarding the futures of Sudarat and Chaikasem, but the former has looked quite tense in public lately, even on the day she led the Pheu Thai alliance’s press conference announcing readiness to form a coalition government. 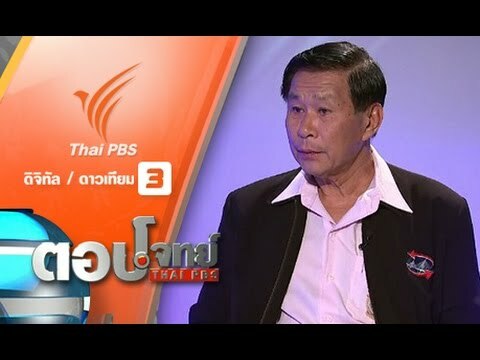 Tuesday, April 2, 2019: Gen Apirat Kongsompong has been talking politics again. Or it can be said that what he said is getting much political attention again, after a general election that many see as just confirming the national divide. To be fair, the Army chief was calling for public harmony and understanding of the unique Thai political culture. But he also said it in what critics may dub a confrontational way. In one public remark, he lashed out at “pretentious” or “over-sensitive” academics who he said had gone to study abroad and absorbed foreign political systems without giving consideration to Thailand’s uniqueness. These academics, he charged, were creating divisiveness that could spoil the restart of democratic Parliament. In another remark, made before foreign observers and journalists, he insisted that the delayed announcement of election results could be attributed to one reason only, and that was the coronation ceremony. He said the laws required a lot of activities to happen after complete announcement of election results and those activities could get in the way of royal events. In his meeting with foreign journalists, Apirat naturally was asked what he thought about coups. He basically said that if Thais started killing one another and the government was helpless about it, then the military would have to step in to stop the bloodshed. If the government is in control of the situation, soldiers would stay on the side, he added. In an apparent swipe at Thaksin Shinawatra, Apirat said casualties of a civil war were always people who were used as pawns, whereas the real masterminds would be nowhere to be seen. “When people fight on the streets, so-called democracy leaders will take their families out of the country and watch it from afar. They will only return when they know the country is at peace and they can get everything. Only the people who stay the whole time stand to lose everything,” he said. Monday, April 1, 2019: Now, a fair number of analysts have begun to believe that a seizable amount of votes and MPs that the Future Forward Party received in the March 24 general election was a windfall from the dissolution of the Thai Raksa Chart Party. 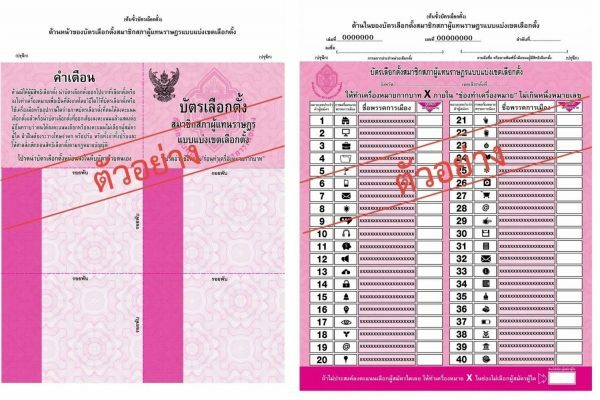 Future Forward received a combined 6.2 million votes nationwide, coming third in terms of popular votes after the Palang Pracharat and Pheu Thai parties. Much of the phenomenon has to do with the popularity of Future Forward leader Thanathorn Juangroongruangkit but a growing number of analysts believe the party dissolution must have played a significant role. The analysts believe there are two big consequences of the dissolution. First, the pro-Shinawatra camp could have topped the popular vote table, as everyone knows the linkage between Pheu Thai and Thai Raksa Chart, instead of seeing Palang Pracharat claim the glory at the moment. Second, many Future Forward candidates won at constituencies where Thai Raksa Chart candidates had been expected to win before the election. This also increased combined national votes for Future Forward, enabling it to gain handsomely from the new proportional system. Nobody had expected Future Forward to do this well, but while Palang Pracharat must be unpleasantly surprised, its opponents could have been kicking themselves. After all, Thai Raksa Chart was doomed after a totally avoidable mistake. If it had named Chaturon Chaisaeng as its prime ministerial candidate, the Pheu Thai-Thai Raksa Chart camp would have been sitting pretty at the moment. Sunday, March 31, 2019: Protesters gathering in the Ratchaprasong area today scolded the Election Commission and insisted that Pheu Thai won the March 24 poll because “electoral votes” (the number of MPs), not popular votes, decided the winner. The protesters, who were not numerous but rather noisy, insisted that the post-election prime minister must be Pheu Thai candidates _ Sudarat Keyuraphan or Chadchart Sittipunt _ only. Lines of police circled the demonstrators, who looked angry but did not appear in a big number. There were some pushes and shoves but nothing untoward happened. The protesters asked passers-by to sign their name to support an impeachment campaign against the EC. Pheu Thai won the biggest number of seats, but the Palang Pracharat Party won the biggest number of votes when ballots cast nationwide are combined. 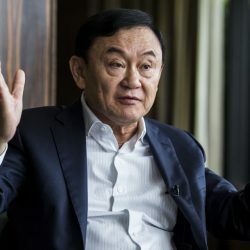 Saturday, March 30, 2019: Thaksin Shinawatra has told his supporters not to lose hope, citing God, the United Arab Emirates and Estonia. He avoided mentioning the March 24 general election in which his virtually main political party, Pheu Thai, failed to top the table of popular votes for the first time. Pheu Thai, however, has won the biggest number of parliamentary seats, although it is struggling hard to form a coalition government. The Facebook message said although the UAE had only deserts and there was no river, the country never gave up and as a result managed to have plenty of water. As for Estonia, he said the country was very poor coming out of the Russian control but is now being dubbed Europe’s Silicon Valley because the country’s visionaries have been focusing on what online revolutions can give the people. “Those are the people who never give up. As long as we can still breath, we shall not abandon hope. We must have hope for ourselves, for our families, for our organisations and for our countries,” he said. Friday, March 29, 2019: Future Forward leader Thanathorn Juangroongruangkit’s first legal fight as a politician will involve court precedents that do not seem to favour his defence. Having reinforced his status as Thailand’s new political star in the March 24 national poll, Thanathorn is fighting allegations that he registered his election candidacy while still holding shares in a media company. The Constitution prohibits media ownership by election candidates, with violators facing parliamentary disqualification and/or ban. Thanathorn has displayed a document showing that he transferred all his shares in V-luck Media Company to his mother, but questions are arising as to whether the document had legal effects on the day he registered his election candidacy. Critics have cited a Supreme Court ruling number 5873/2546, in which the court rejected a complaint that someone should not have been taxed for share dividends because the shares in question had changed hands earlier. The court said the particular share transfers must have been acknowledged by the authorities before the taxation. When transfer is concerned, there are apparently two types of shares. The first one, common to man on the street, is entitled to constant changes of possession without a fuss. The second one requires authorization or official acknowledgement. As a main shareholder of V-Luck Company, it is believed that what Thanathorn was holding was the second type of shares. To add to his worries, the Constitutional Court in 2010 disqualified six MPs found to have partially owned media companies or media stocks. Thursday, March 28, 2019: Another contentious document has emerged in Future Forward leader Thanathorn Juangroongruangkit’s media shareholding controversy, this time implying that he might have attended the company’s meeting as a shareholder just a few days before the election. Thanathorn had insisted that he was not holding any media stocks on the day he applied for election candidacy. He displayed a document that showed he and his wife had transferred all their shares to his mother way before the application day. His document is a transfer contract between him and his mother, with witnesses’ signatures and a tax stamp. He displayed the transfer contract after the Israwnews media outlet reported that legal evidence showed he was still holding V-Luck Media Company shares worth about Bt9 million on the day he applied for election candidacy. Such holding would be in violation of the Constitution and could lead to his candidacy being nullified. Thanathorn’s displayed share transfer contract was made before the candidacy registration day. It was up against Isaranews’ document showing that the company sent information about changes in shareholding to the authorities just a couple of days before the election. It seems that the day the share transfer as stated in the Thanathorn-displayed contract took effect is crucial in this controversy. Now, Isaranews has shown another document, which showed that 10 V-Luck Media shareholders attended a company meeting on March 19. The document to commerce authorities did not say specifically who were at the meeting, but Isaranews said the stated number, 10, was intriguing. “Explanation is needed as to why the number of shareholders attending the meeting was 10 while it should have been 8 because Thanathorn and his wife ‘transferred’ their shares to his mother on January 8,” Isaranews said. Thanathorn has yet to respond to this. His legal fate has been made a lot more significant in the current political climate. The March 24 election has been a tight race and rival camps are competing to gather a House of Representatives majority. One added seat here or a missing seat there can change the complexion of the game drastically, and Thanathorn’s parliamentary status can hinge on the outcome of this shareholding controversy. Wednesday, March 27, 2019: Due to the fact that the Pheu Thai Party is not getting MPs from the proportional system, the post-election Parliament will miss a big number of veterans who are on its party list. Chalerm Yoobamrung, Snoh Thienthong, Bokhin Palakula and Plodprasop Surasawadee are among them. Unless something big happens in the counting of the remaining 5 per cent of votes cast on Sunday, Sudarat Keyuraphan and Bhumtham Wecchayachai, who are high on the party list, will miss it too. Veteran Pongthep Thepkanchana will almost definitely miss it like Chalerm, Snoh and Plodprasop. Currently, Pheu Thai leader Viroj Pao-in who tops the party list is also sweating heavily. Other big names dropping like flies include Adisorn Piengkiet, Prayut Siripanich, Noppadol Pattama and Kittirat na Ranong. The party list candidates of Pheu Thai have fallen victims to the new proportion system because Pheu Thai has won “too many” constituency contests whereas losers of other parties performed well, being beaten only narrowly. Under the new seat-rationing system (involving 350 constituency seats and 150 party list or proportional seats), all votes cast in all constituencies will be combined to determine how many proportional seats each party get. For example, if Party A is supposed to get 100 seats but it has already won 95 constituency seats, it will get an additional 5 seats from the proportional system. If a party’s sweep already matches the determined number or exceeds it, that party won’t get anything from the proportional basket. The new system was proclaimed to promote the “Every vote counts” concept, because it benefits parties that lose narrowly at constituencies. Pheu Thai had claimed the new system was designed to help losers in its routine wins in the northern and northeastern regions.